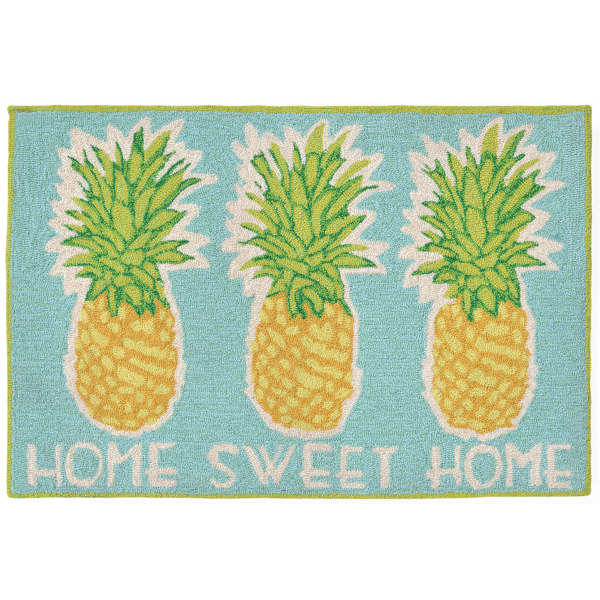 Home Sweet Home Indoor/ Outdoor Mat features sweet tasting pineapples on a blue background. This is a coastal rug that is sure to liven up any space. The content and quality of this hand tufted, synthetic blend rug will hold up to indoor or out door use.